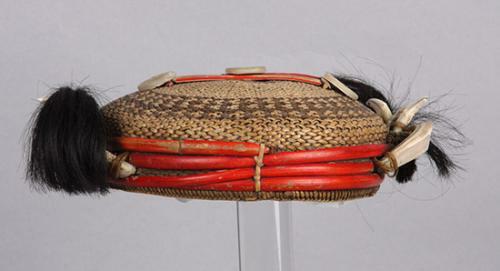 The scope of the Maxwell Museum of Anthropology’s Ethnology Collections is global. 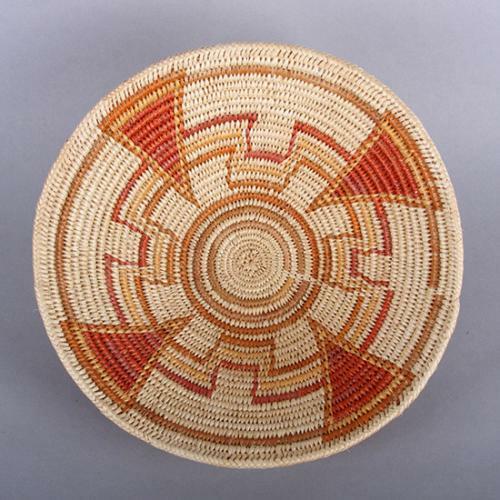 Over 17,000 objects represent peoples worldwide, but especially of the US Southwest, Plains and Northwest Coast; Latin America; Africa, Asia and Southeast Asia; and the Middle East. 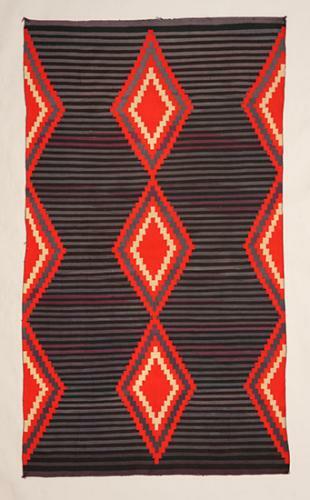 The Ethnology Collections also encompass a significant collection of paintings, prints and drawings, primarily of regional and Native American artists, as well as a recent donation of serigraphs made to scale of cave paintings worldwide. 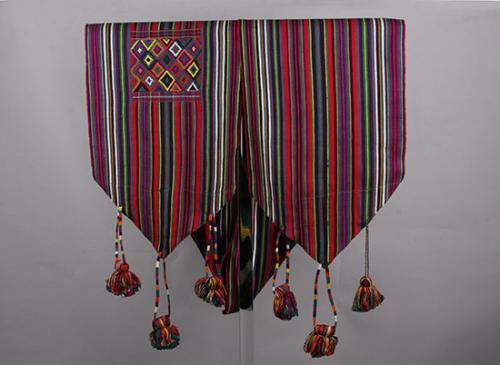 Most of the collections originated through systematic anthropological research, collecting, and exhibition organization, with accompanying documentation of cultural value. 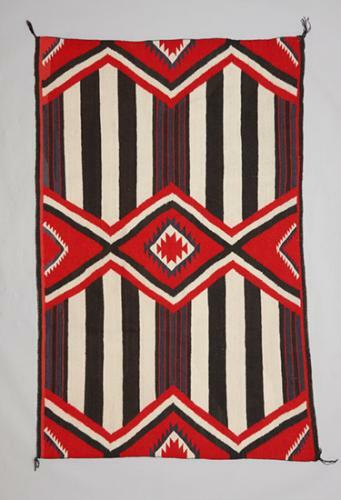 Many were also donated by important figures in the Museum’s history, such as Frank C. Hibben, Dorothy and Gilbert Maxwell and J.J. Brody. 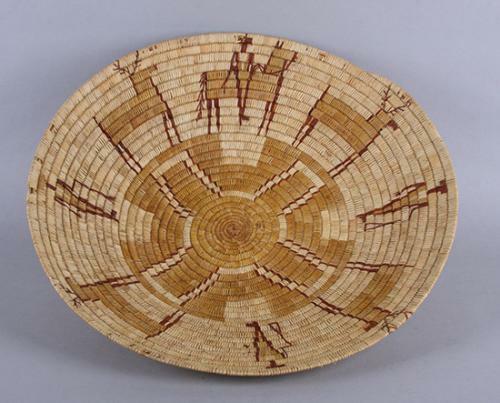 These collections serve as the basis for research and public programming on the University campus and among sister institutions, and provide rich cultural heritage resources for source communities. 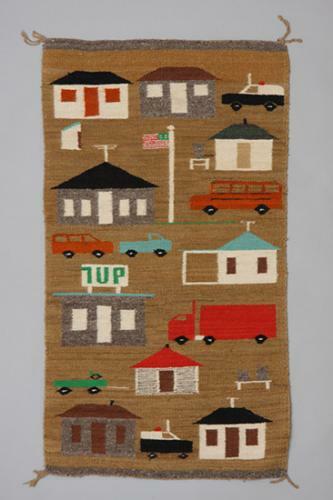 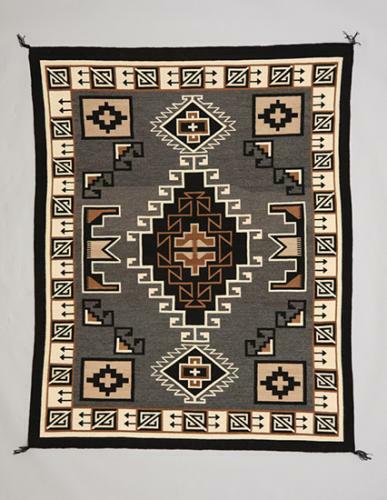 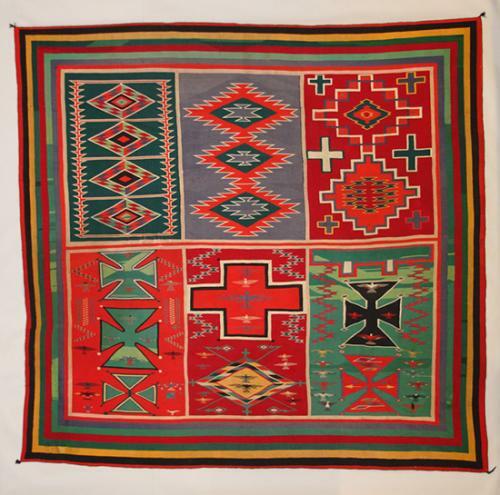 The Museum is recognized for its extensive collection of Southwestern textiles, in particular Navajo rugs. 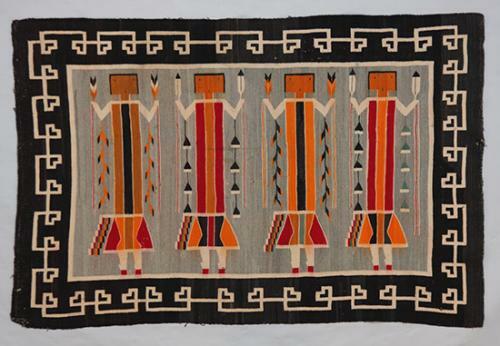 The collection represents weaving styles spanning from the “Classical” period (1800-80), the “Eye dazzler” period (1880-1900), the “Early Rug” period (1900-20), and the “Modern Regional” period, through the present day. 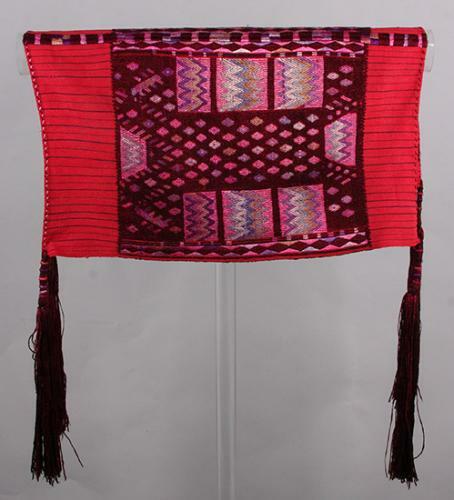 Other Southwestern textiles include handwoven Pueblo sashes, kilts, and belts, as well as men and women’s constructed garments dating from 1870-1960s. 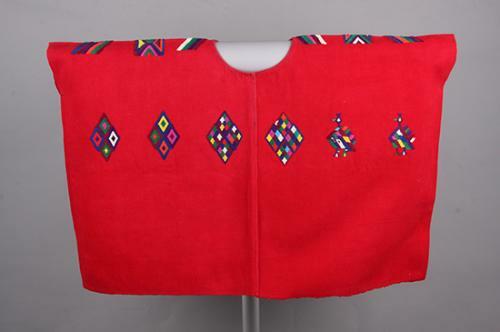 In the late 1990s, the Maxwell Museum purchased collections of Pueblo Indian cotton dresses and conducted interviews with the makers. 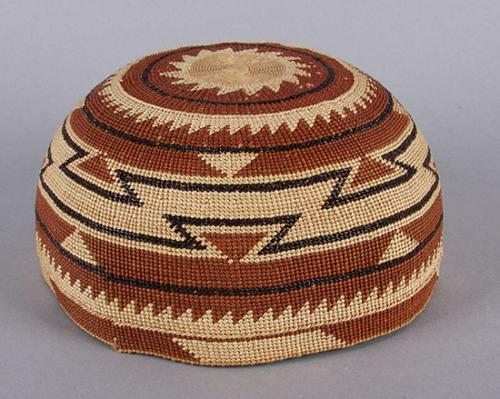 As most young women no longer wear these types of dresses, the collection may provide a reference for future generations of Pueblo women. 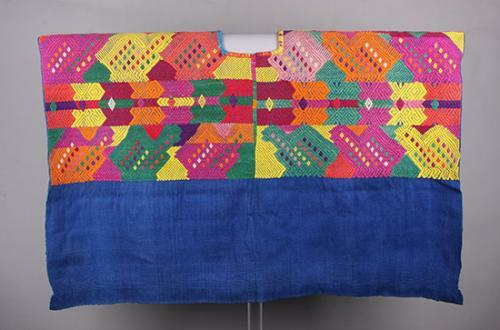 Also represented in the Southwest collection are textiles in the Saltillo-style of Mexico and Hispanic weaving from the Rio Grande region. 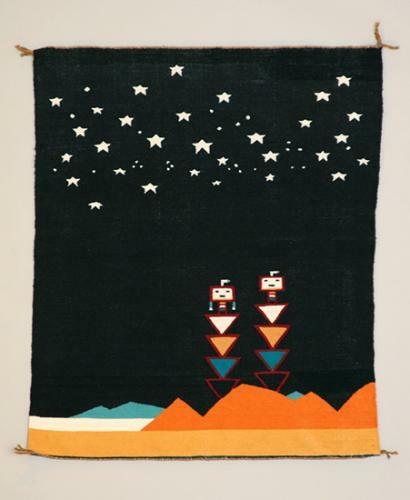 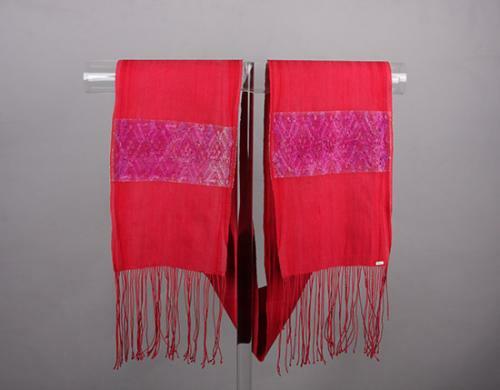 Less well known is a growing collection of Central American textiles from Mexico and Guatemala. 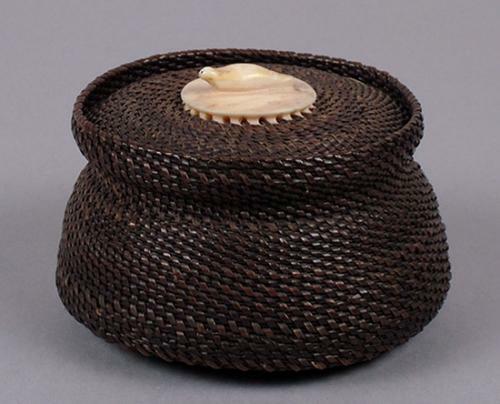 Recent acquisitions, including the Holzapfel and Schwerin Collections, have strengthened this collection area. 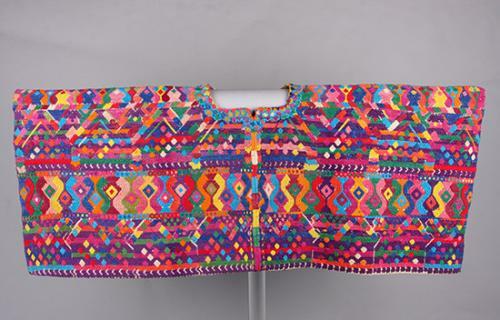 Textiles and costumes from South America, the Middle East, Eastern Europe, Asia, and Africa are also represented. 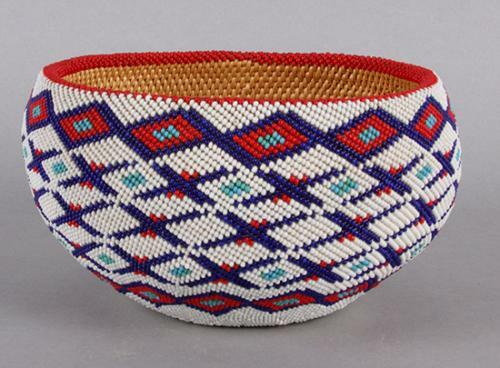 The Maxwell holds an extensive collection of Native North and South American baskets, with over 2,000 baskets from the American Southwest, California, Latin America and other areas. 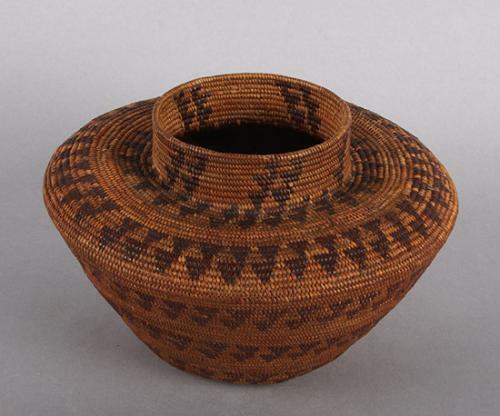 The Sella Hatfield Collection is the largest collection and includes many Northwest Coast baskets. 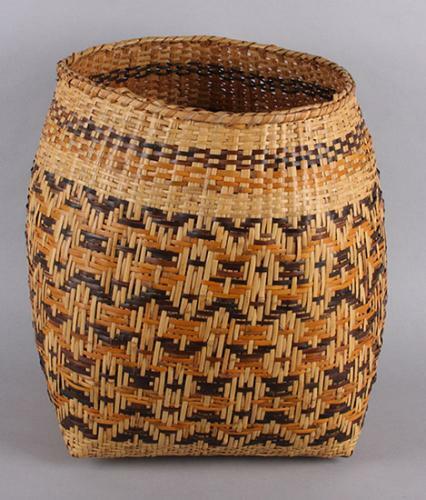 Before being acquired by the Hatfield family, the baskets were in the possession of the Hudson’s Bay Company, a Seattle-based furrier. 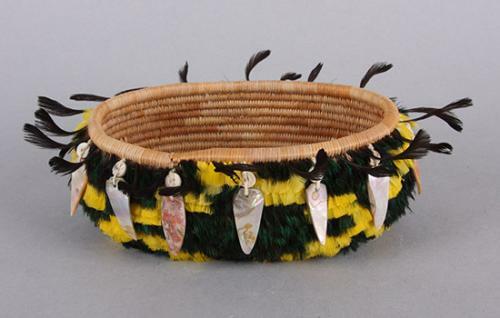 The baskets were collected and labeled in the field by representatives of the fur company and are identified as to ethnic group. 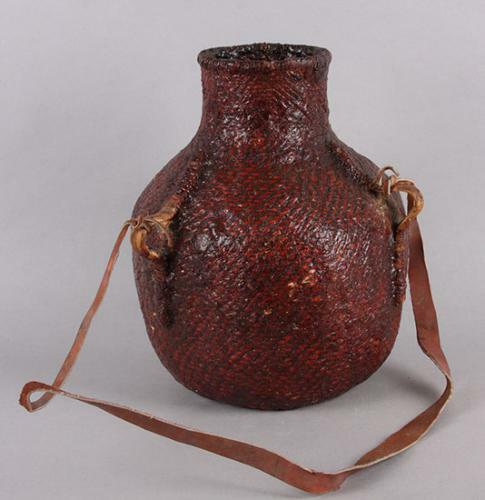 Most date to the late 19th and early 20th centuries and show signs of extensive use. 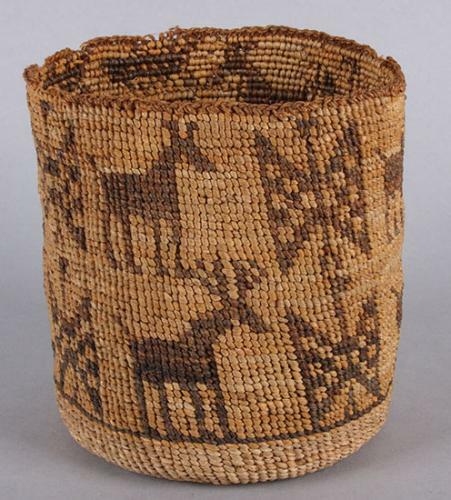 They provide a wide selection of types illustrating patterns common before the rise of the curio trade in the Northwest Coast. 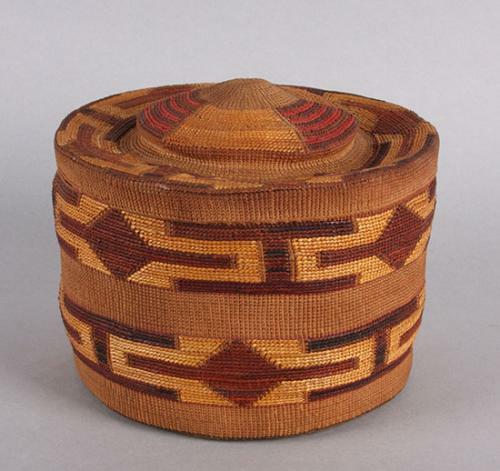 The basket collection has been supplemented more recently with the acquistion of the Teleki baskets, a collection from rural North America. 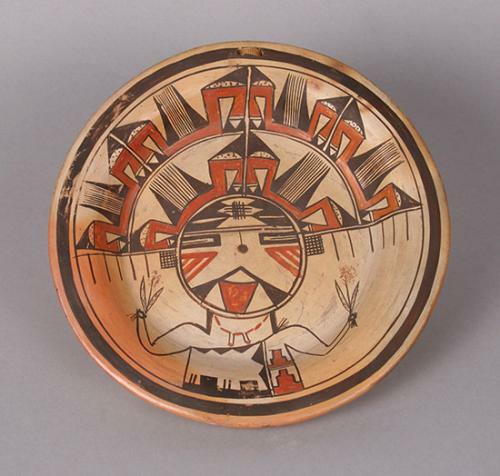 The collection is primarily from the eastern half of the United States including Native and non-native work. 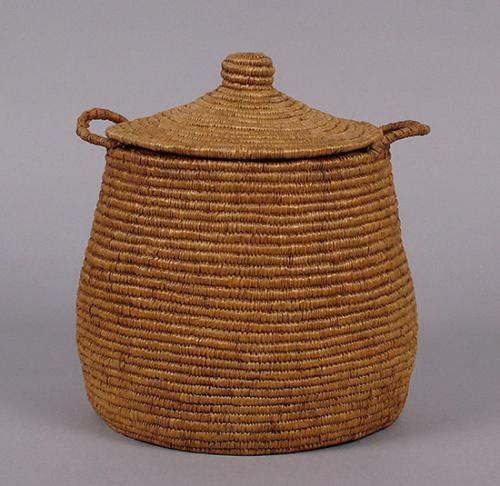 This collection has been documented in the book, The Baskets of Rural America, by Gloria Roth Teleki.